Click to enlarge. No biggie. Just some standard offseason shenanigans. 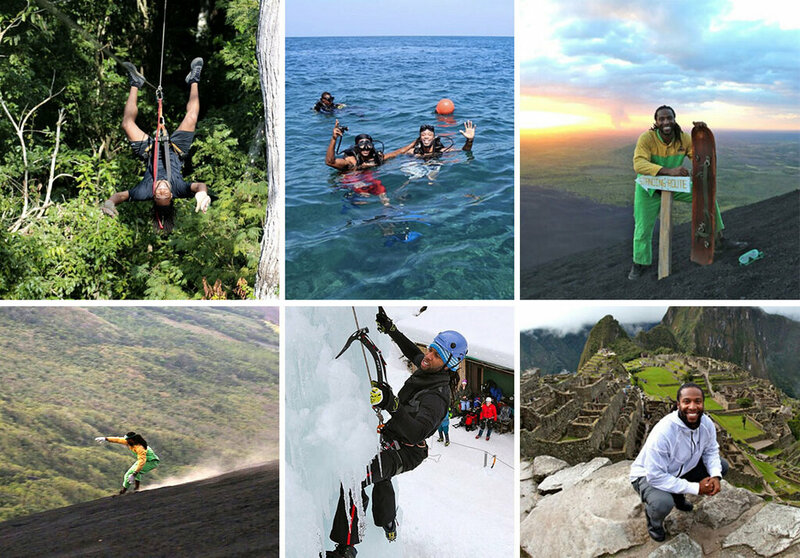 That’s Larry Fitzgerald zip-lining in Guatemala, scuba diving with his teammate Andre Roberts in Colombia, sand-boarding on a Nicaraguan volcano (! ), ice climbing in Slovenia, and chilling atop Machu Picchu in Peru. What the hell have you done lately? This entry was posted in Football, NFL and tagged Larry Fitzgerald, Larry Fitzgerald vacation. Bookmark the permalink.